The experts with Action Garage Door are ready to take care of any Live Oak garage door repairs, maintenance or installation services you need. We will do whatever it takes to make sure you are 100 percent satisfied with your new or repaired garage door, just as we have done for thousands of customers throughout the San Antonio region. 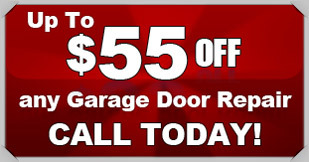 If you need garage door repair Live Oak, call Action Garage Door! Since our family-owned company first opened for business in 1984, we have been passionate about exceeding our customers’ expectations. As part of that philosophy, we ensure that our work complies with all local regulations, and always use products built handle extreme Texas weather. We also place high priority on expertise and integrity. On top of hiring only the most experienced technicians, we require all of our experts to undergo extensive screening. When you choose Action Garage Door, you’ll know that you’re working with the most skilled, most trustworthy professionals in the business. You can rely on the experts at Action Garage Door for any type of garage door repair in Live Oak. For example, we can provide routine maintenance, fix problems with the rollers, put your door back on its tracks, and much more. When it comes to Live Oak garage door repair, our professionals have the skills, experience, and equipment to solve any problem quickly and effectively, with minimal disruption to your daily routine. In addition to offering top-notch repair services, we can help you select and install a new door on your residential or commercial property in Live Oak. We carry products from the best manufacturers in the industry, including Amarr, Chi and Classica. We will closely work with you to make sure you end up with a new garage door that provides reliable, long-lasting performance and serves as a perfect complement to your home or business. When you need Live Oak garage door repair, maintenance or installation support, look to the experts with Action Garage Door. From minor adjustments to major overhauls, we have the tools and equipment necessary to handle your garage door repair or installation right the first time. Give us a call or contact us online to schedule an appointment.